When my daughter Andrea was five years old, I walked into her room to find her feverishly looking for a pink pencil she had lost. I couldn’t help but smile—it made so much sense to her. She hugged me and I promised to help. After about ten minutes searching the yard, I discovered a bright pink pencil lying beside the sidewalk under some leaves. She was still looking under the bed when I walked into her room with the pencil in my hand. The look on her face was priceless—it was as if I had given her a pony. She jumped up and down and gave me a big kiss. “Thank you, daddy!” It was worth every minute outside. When I think back on that day, I can’t help but wonder—when we are seeking the Lord’s guidance, where are we looking for the answers. Do we start flipping through the Bible hoping to land on something that supports what we want to hear? Or do we look at the Scriptures at all? It’s important to search in the right place when we’re seeking God’s wisdom and guidance. Sometimes it’s easier to look for the answers—where we know there aren’t any answers. For example, if the response we are seeking from the Lord is already clearly stated in Scripture, why do we look for affirmation elsewhere? There are times when the answers we need and the path we are to walk are horribly painful. We’re told in scripture that we are not to fear what man can do to us, nor are we to be anxious about anything. Why then—do we fear bad news, and run from the truth when it hurts? As we seek God, He wants us to look where the answers will be found. There are times when he may not want us sitting in the comfort of our bedrooms seeking His face, when the answers are outside in the uncomfortable cold. When God gives us a difficult task, or we find ourselves in the midst of a storm, it is for a reason. God does nothing without great purpose. Don’t forget that. I will say it again—God does nothing at all without great purpose. Once we understand that—really understand it, everything changes. As I was looking in the yard for Andi’s pencil that day, I was cold and miserable. I thought to myself, why am I out here—this is crazy! But when I found that pink pencil, those feelings disappeared. Our light and momentary troubles will quickly fade as they are smothered by the victory of finding the answer we seek. The Lord will not hide Himself from us—He is eager to show us the direction we should go. But we have to be looking—where the answers can be found. 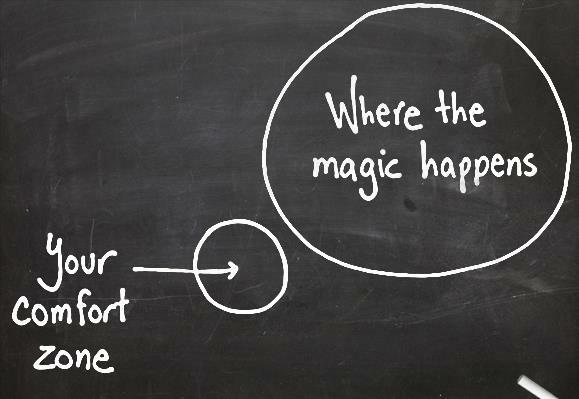 Keep this in mind—if you’re in your comfort zone, you may want to reconsider what you’re doing.